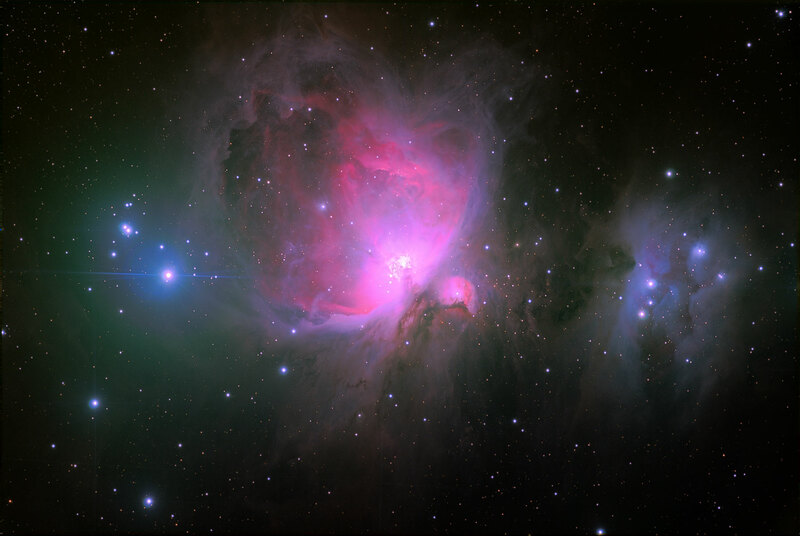 The Orion Nebula Taken from Anza CA 2006-01-27. Conditions were marginal with FWHM > 3 seeing and clouds all night. I have worked a lot with the color and detail of this image. It is still not satisfactory. The raw data is hard to work with due to variable high clouds drifting over the target all night which caused variable light spreading of different nature for each image.